The following awards were presented will be presented at the 2018 CCAE State Conference in Fresno, California on May 3-5, 2018. Dominic "Dom" Gagliardi has worked in the educational field for nearly four decades before his retirement in July 2017. He taught ABE, ASE, and ESL in the Grossmont district, some of which was in a correctional setting. He served as assistant principal in the Escondido district from 1999-2003 before becoming principal in 2003 and steadfastly leading Escondido Adult School until he stepped down in 2017. 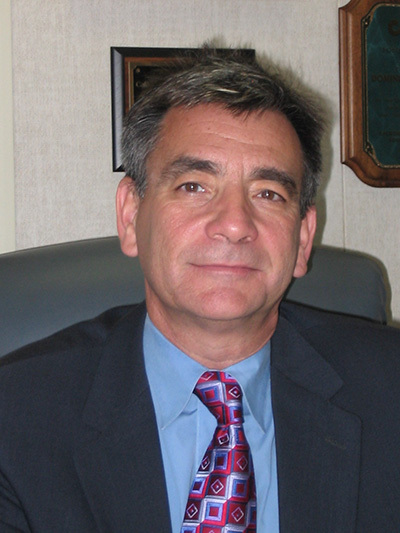 In addition to working at the teaching and administrative levels of adult education for 38 years, Mr. Gagliardi served as an officer at the local and state levels of CCAE, including as president. He was a past president of COABE and was named administrator of the year in 2015. Dom was also the administrator of the CTE program for Escondido Unified HS District, was heavily involved in the local consortium, and has spearheaded the cause of adult education at the grassroots and national level as a member of ACSA and CALPRO for years. Larriann has had many contributions to the field of adult education since she began her work in adult ed in 1994. She has changed the lives of thousands of individuals. Larriann has provided classroom instruction to the most needy of our society, contributing her talent, motivation, and support to individual students. She has provided school level and district level leadership to support the development and implementation of programs aimed at meeting the needs of her community. She contributes leadership and guidance to a community of adult education professionals her community. Larriann has contributed regionally through her leadership roles in adult education throughout the South Central Valley. Larriann has contributed to adult education statewide through her leadership in state roles as well. Larriann has been an active contributor to every major change in adult education for over 20 years. She has been through it all. And through it all Larriann has contributed without reservation to those she serves. She is a consummate professional. Boys and Girls Club of Huntington Valley has been a strong partner of Huntington Beach Adult School for more than 10 years. Through Tanya Hoxsie's leadership, a program to provide educational services for families with language learner students is offered to the community. Mrs. Hoxsie coordinates close to 10 partner agencies to provide tutoring programs for K-12 students, ESL classes for their parents/guardians, childcare and preschool services, and wraparound support such as meals, parent education, and health screenings to name few. This award winning program is referred to as The Twilight Program and has helped educate thousands of families since it's inception.